The last of the farm crew finished up friday and while there are still things to harvest and a few tasks to complete in the fields we are mostly done for the year. In addition to harvesting and packing for the Late Fall Share (still shares available) I'll be cleaning up and putting equipment and supplies away for the cold months ahead. I always look forward to the beginning of each new season and now the quiet months ahead, without a crew to manage or daily "must dos", are just what the doctor ordered. This was our fifteenth year growing food at this farm and while I am proud of what we were able to offer all of you each week, I am tired. The long stretch of dry and hot and a shortage of hands to get things done made it a tough season behind the scenes. There is one Mainer that is hoping for a cold snowy winter by the wood stove. 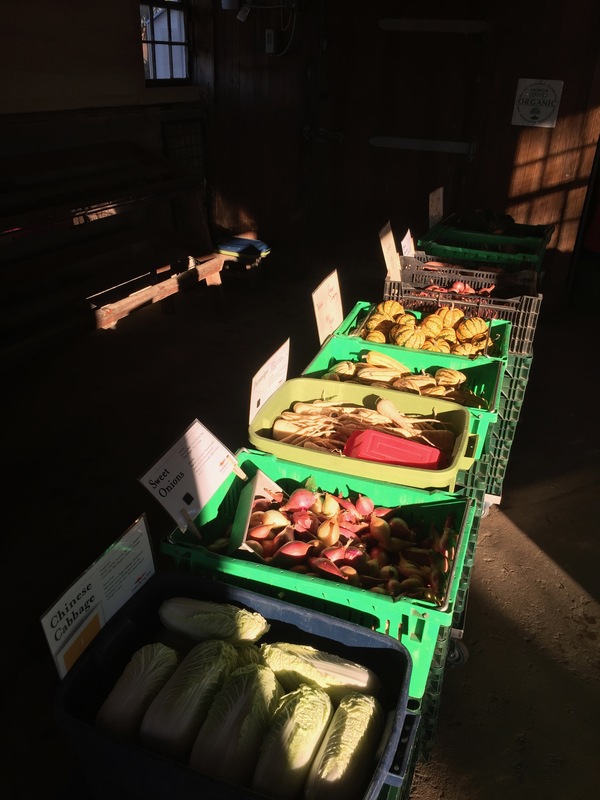 The first Late Fall Share is tomorrow. If you haven't signed up and would like to, send us an email. Coming to the farm after voting, what could be better? Fall Meat Shares Still Available! Grass-fed Beef Share- Clarkhaven Farm in Skowhegan raises 100% grass-fed beef that is really amazing. Full marbling, incredible taste and all the health of grass-fed. Shares are $505 for a 65lb box of steaks, roasts, ground and stew cuts. This share will be available for pick-up in November. Reserve now. Please follow this link to sign up. Pastured Chicken Share -Two Coves Farm in Harpswell raised these for us on pasture with organic grain. Full size birds with great flavor, this is what chicken is meant to be. Shares are $125 for 3 whole and 5 halves. Available now until we sell out. Sign up here. Pastured Pork Share- Our own pork raised last fall on hay and organic grain. Shares are $185 for 22 lbs of chops and ground. Sign up here . 10lb Ground Pork Pack- Our own ground pork 10lbs in 1lb packages for $78. Sign up here . Here comes the cold. We frantically harvested tender greens today and will cut more tomorrow for Friday. The winter blanket of Canadian air behind the windstorm is going to snap us all back on track with the fact it is mid October. We had our first two killing frosts this weekend with 29 and 30 and the forecast for Thursday night is 28 which usually means 24 for us out on the farm. Our white crop covers give us about 5 degrees so hearty stuff under cover like chard will be fine. Cabbage and beets outside the cover will also fair well as they can handle down to about 20 without damage. Lettuce on the other hand...not a Maine native. See you all at the farm for our second to last pickup this week. As in past years we have great meat products from local farms to fill your freezer this winter! Pastured Chicken Share -Two Coves Farm in Harpswell raised these for us on pasture with organic grain. Full size birds with great flavor, this is what chicken is meant to be. Shares are $125 for 3 whole and 5 halves. Available now until we sell out. Sign up here or talk to us a pick-up. Pastured Pork Share- Our own pork raised last fall on hay and organic grain. Shares are $185 for 22 lbs of chops and ground. Sign up here or talk to us a pick-up. 10lb Ground Pork Pack- Our own ground pork 10lbs in 1lb packages for $78. Sign up here or talk to us a pick-up. These shares are available to non-csa members as well so feel free to spread the word! Just the facts this week. Still busy. We will be taking full buckets for the last time this week. Thanks to everyone who took part! Fall is the time of abundance. The dividends of summer are flowing in. The timing is perfect as we all go through the bumps of transition and get ready for the coming cold. Having a lot at hand to eat definitely makes that easier. 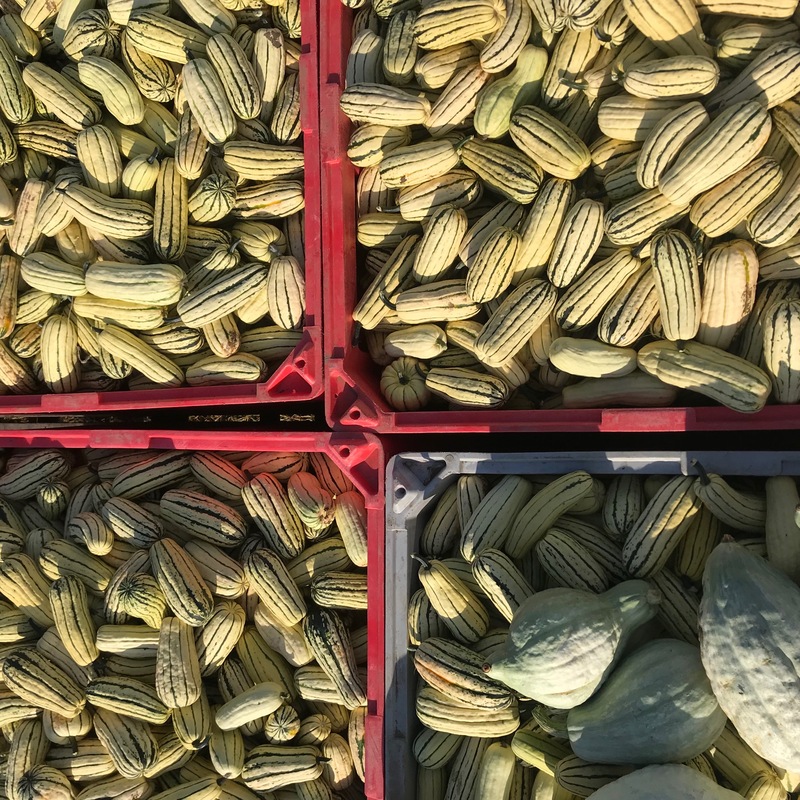 Nothing marks the coming of fall like squash. One of my favorites makes its entrance this week, Sugar Dumpling. 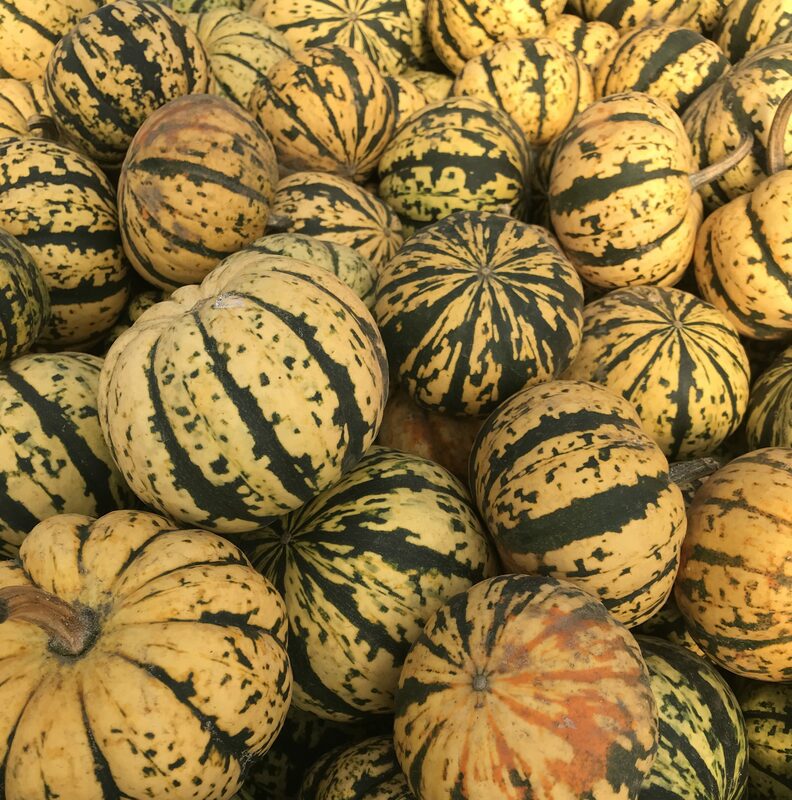 Like a cross between delicata and acorn, its sweet and has a nutty flavor. Great to look at as well, I like to leave it on the counter for a few days to enjoy before it disappears. Last week for 30lb Blueberry Boxes! Pick up over this week only - Tuesday October 2/Friday October 5th. After those dates, our frozen berries will only be available in two pound bags. These berries were harvested here at Crystal Spring Farm, in the fields between the farm and the high school. They are organic and have been flash frozen. Thirty pound boxes are $115. The boxes measure 15.5" x 11.5" x 8.5". 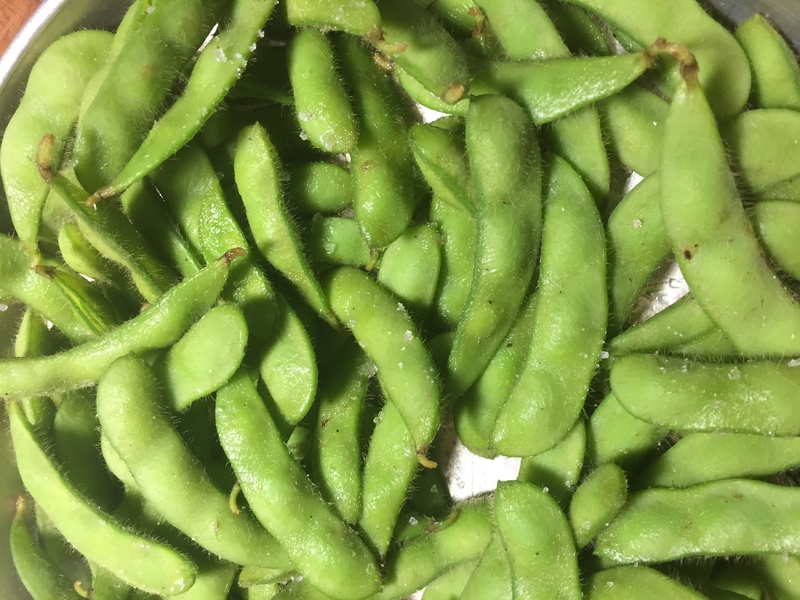 Fall Share - Extend the Season! To sign up follow this link - scroll down and contact us with any questions! Pick up over the next two weeks only - Tuesday September 25/Friday September 28 or Tuesday October 2/Friday October 5th. After those dates, our frozen berries will only be available in two pound bags. A treat in the upic field - some people have not had a chance to try it, or don't know how to prepare it. Another item beginning with the letter E, I thought I'd share a recipe we have not yet tried, but is on my radar. Eggplant "meatballs." Some people are not sure what to do with eggplant beyond the ratatouille standby. This recipe for eggplant meatballs is also from Mark Bittman, and calls for a tomato sauce (think Roma tomatoes...). If you try it let us know! 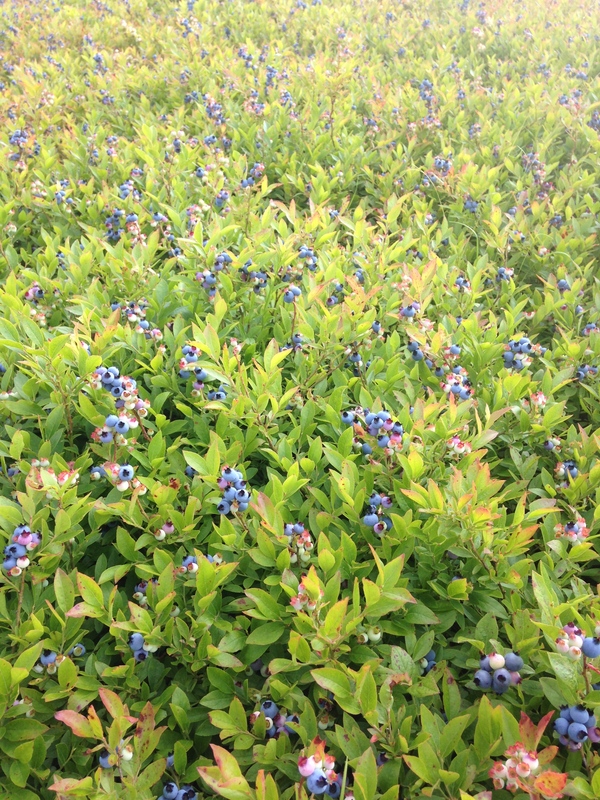 Blueberries coming - get your freezer ready! As many of you know, Seth spent fifteen consecutive August days harvesting organic blueberries right here at Crystal Spring Farm. And yes we will be taking orders next week. This will give you some time to make room in your freezer! We will have thirty pound boxes available for $115. Order information will be sent out via email and newsletter next week and we're hoping to have the berries here the following week or two. The boxes measure 15.5" x 11.5" x 8.5". Stay tuned. 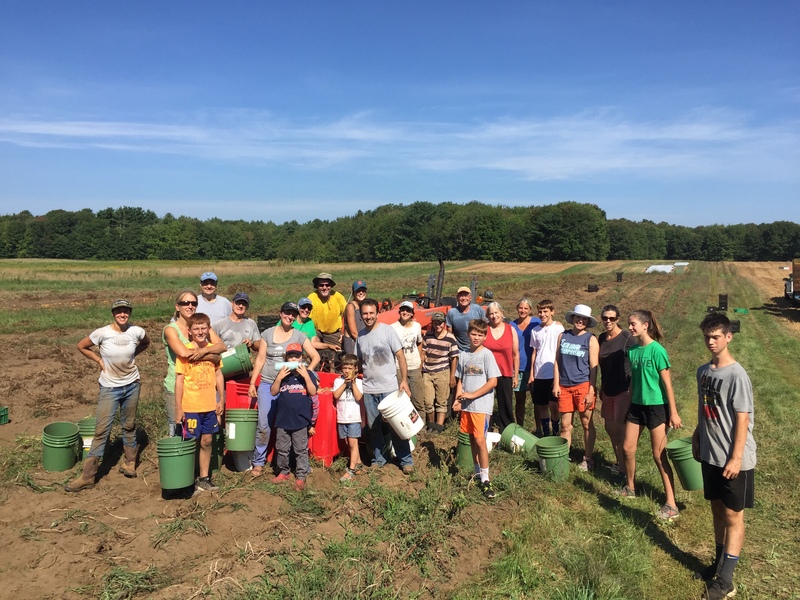 We had an enthusiastic & determined crew on Labor Day for our annual potato harvest. All age groups were well represented - from toddlers to 70-somethings! And it was hot! We gathered up 9,000 pounds of potatoes while catching up with pals and making some new connections! We love our community -- thank you! With the return to school our crew has downsized in number - we are grateful for our four strong and steady women who keep the farm chugging along into the fall season. We've been harvesting winter squash like crazy. 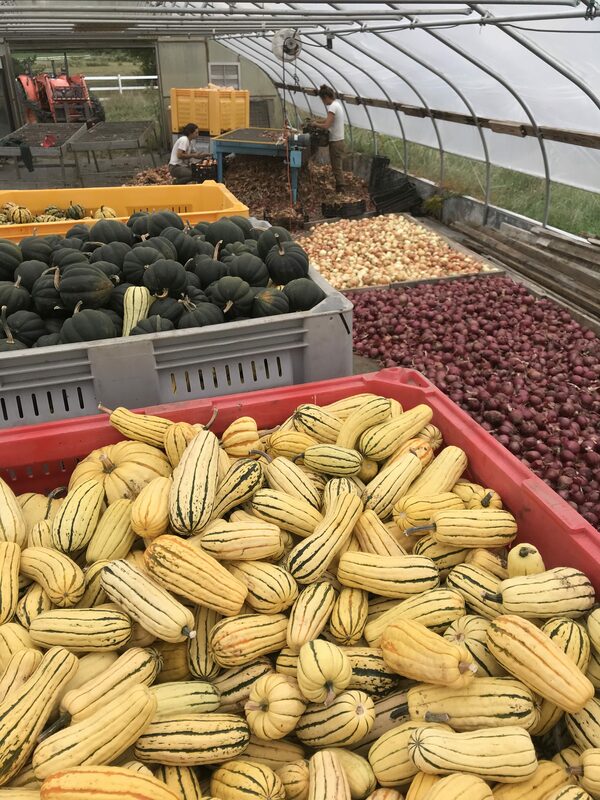 What we left behind in the field will be picked up by volunteers with Merrymeeting Gleaners to share with our neighbors at the Midcoast Hunger Prevention Program. My kids have been glumly reminding me that this is their last week of summer. They have been working the farm in the mornings this season since school ended in June with breaks for hiking trips and preseason sports. As most of you transition out of summer mode we are also transitioning into fall which means big harvests. 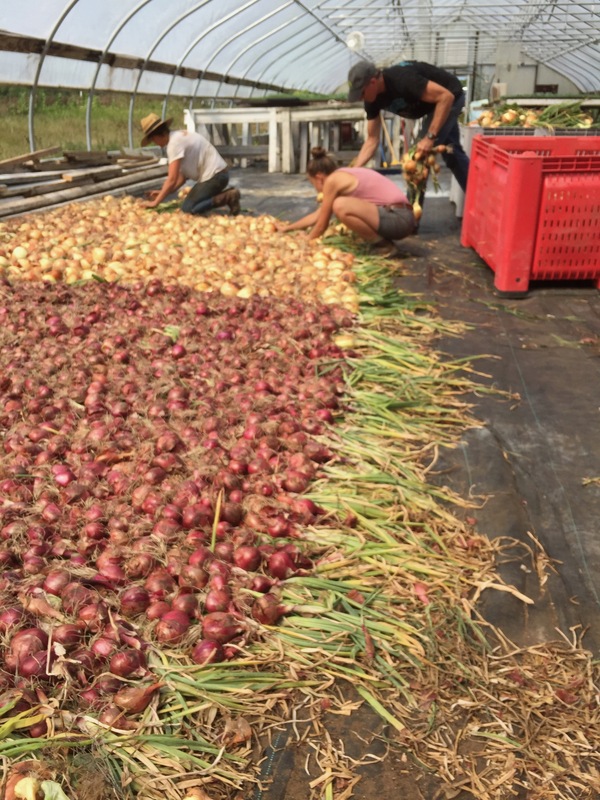 We have most of our onions in (about 8000 pounds) and this next week we start on winter squash. Both of these crops go into our greenhouse to cure where they sweeten up and dry down so that they will keep for the fall and early winter. Look for a few new onion options in this weeks offerings. We have been struggling with pests a bit this year. Each season we have to manage insects that enjoy our crops but this year we have also been grappling with larger pests, mostly deer. For 15 years we have had very little damage from deer but this year they seem to have developed a real passion for our produce. 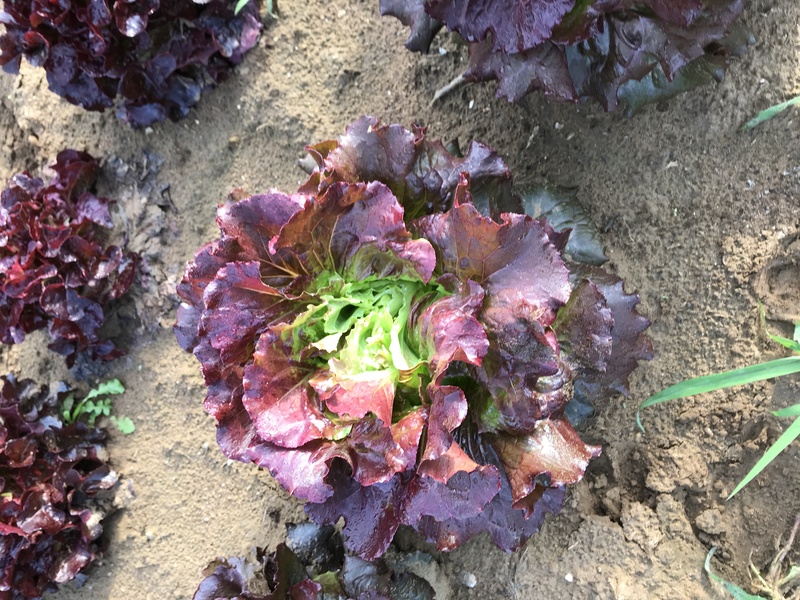 Over the last few weeks we have lost about 800 heads of lettuce and they also like carrot tops, chard and radicchio. We added a few thousand feet of portable electric fencing to the fields this week and the last few nights have seen no damage. From experience we know there is no checkmate move here but hopefully we can protect the next round of lettuce long enough to get some into your boxes. 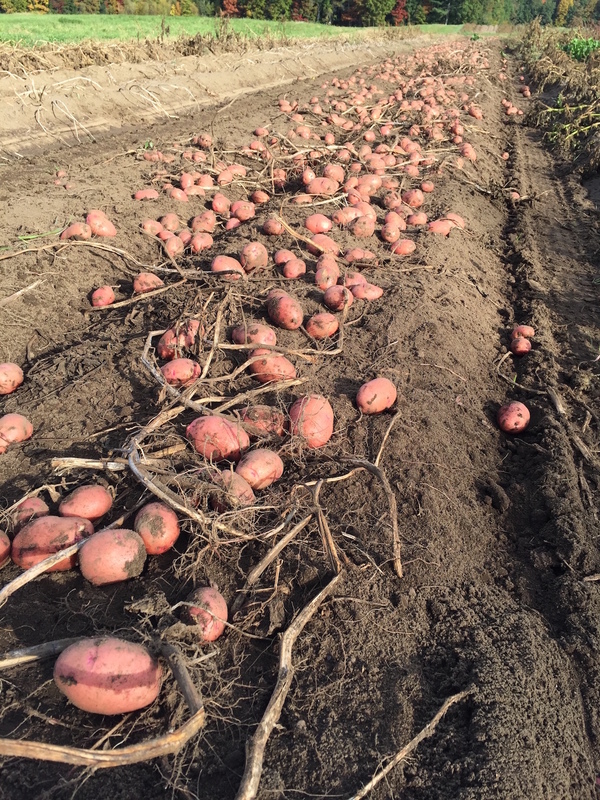 We invite all of you up to the farm to help us harvest the potato crop on Labor Day starting at 9:00 am. 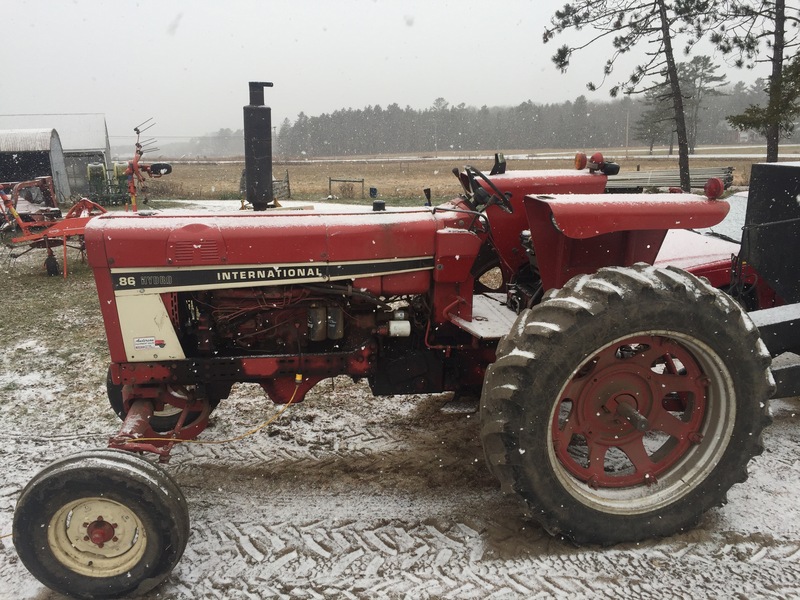 This is a longstanding farm tradition and a great way to chat with neighbors old or new along with the farm crew while we pickup a few tons of potatoes. We have a vintage potato digger that will lift the roots and drop them on top of the soil where we can come through with buckets and bins to collect. Its a great time and for a few hours you and your family can get your hands dirty shoulder to shoulder with the crew. Here's a link to find the field. The last week of summer is upon us. Hope fully you will get in a couple more swims and some afternoons with your feet up. I know that is our goal. The end of the heat and humidity is so welcome. It has come a bit late for a few crops that are suffering from diseases that we usually don't see for another month. Heat stresses out the plants and the humidity opens the door for some very happy fungal invaders. 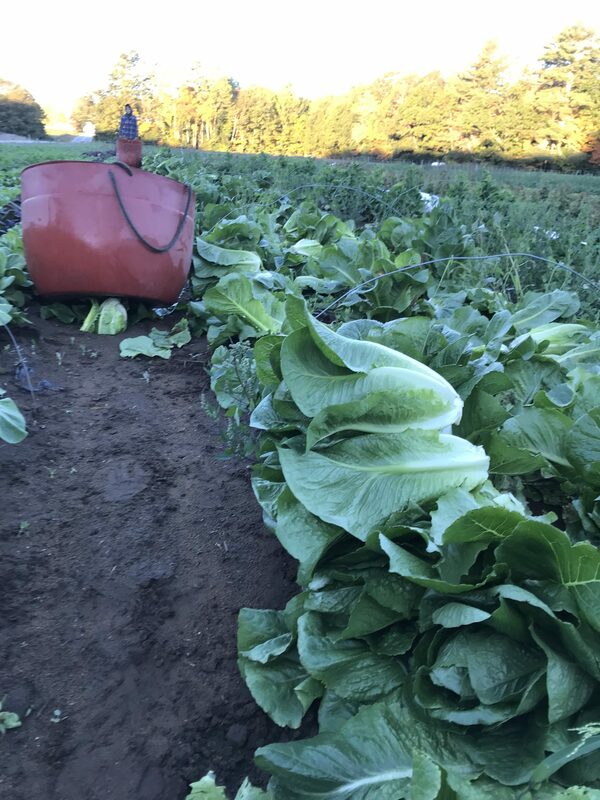 Our leafy greens have been hit the hardest, losing their older leaves and trying to keep up with younger ones. Luckily the forecast is for temperate cool and dry air. 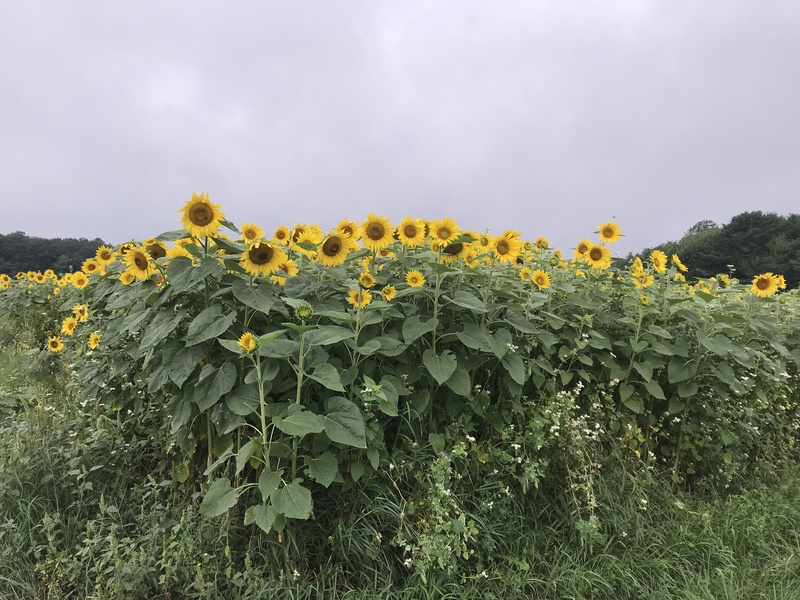 We have had lots of good feedback on our sunflower cover crop. The field has been challenging the Saturday Farmer's market for most congested traffic spot in town. We have another week with them so enjoy the view while you can. 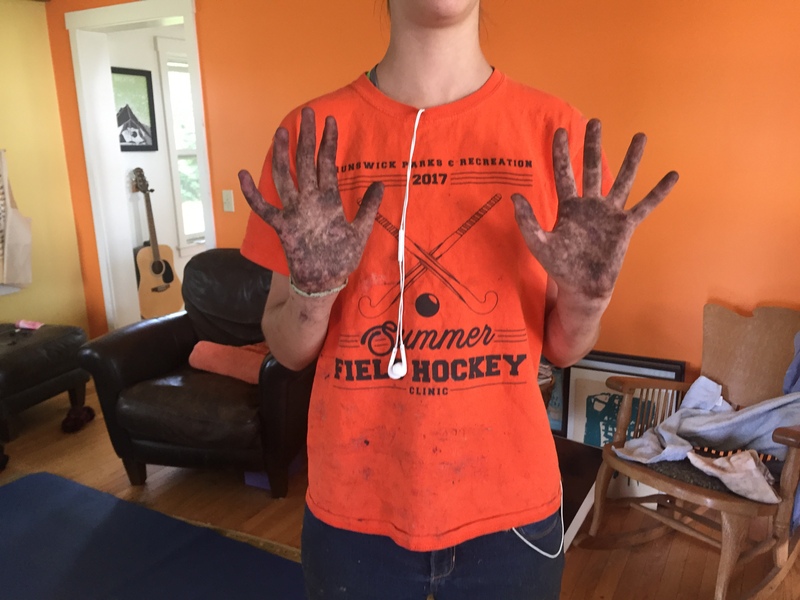 Building soil was never so beautiful. Our Late Fall Share is still available. It's an easy way to continue with our great produce through the end of the year. 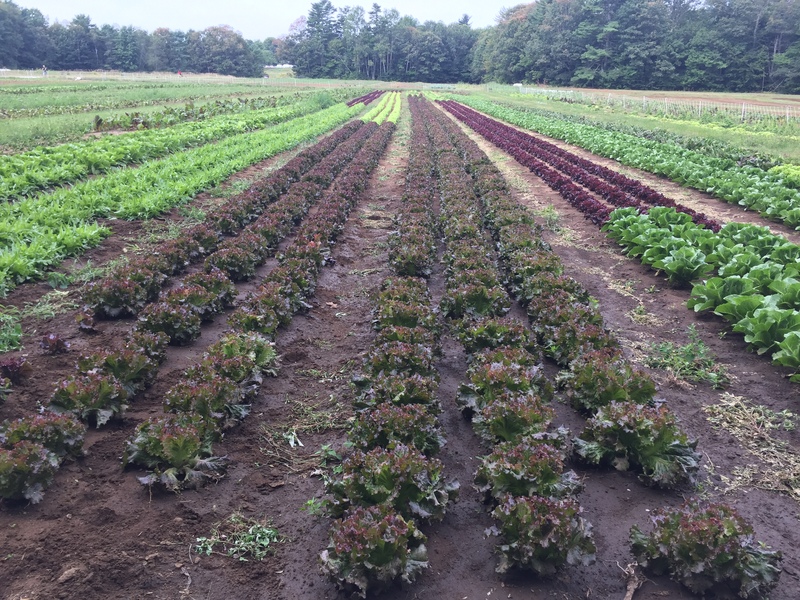 Fresh greens and hearty portions of carrots, winter squash, onions, cabbage and more every other week in November and December (including the weeks of Thanksgiving and Christmas) $160 this share is available if you are currently a member or not. 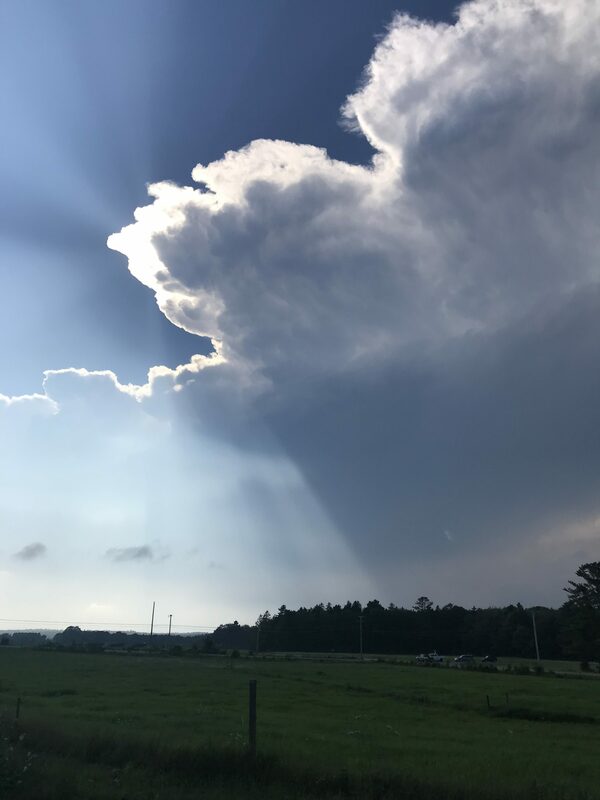 To sign up click here and sign in (current members) or "sign-up now" ( those without a current summer share. Blueberry Harvest Vortex Comes to a Close! 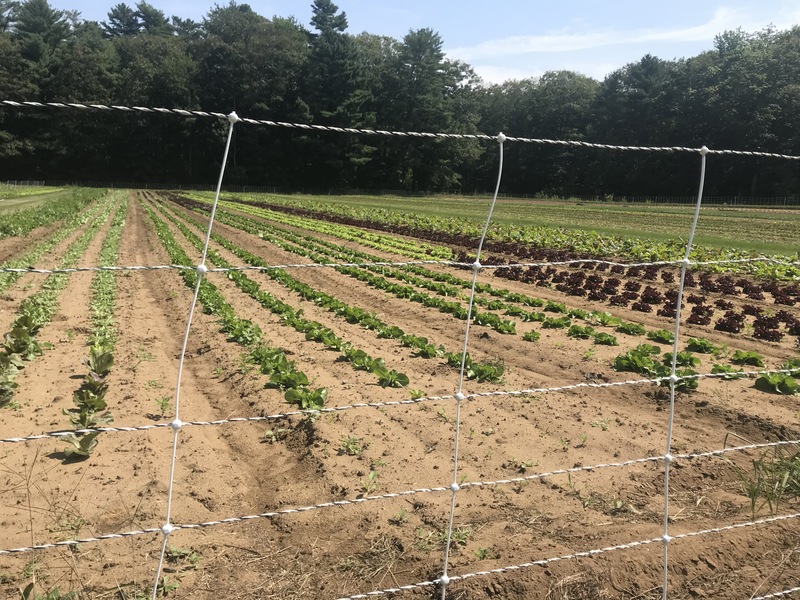 As some of you may know, three years ago we started harvesting blueberries here at Crystal Spring Farm, in the blueberry barrens that lie between our fields and Brunswick High School. Since we began we've had poor to mediocre harvest numbers. This year has proven to be a welcome increase! 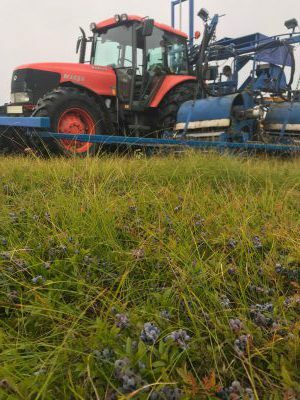 Seth began putting the blueberry harvester together the week of July 23rd and began harvesting berries on July 30th. He has been sitting on the tractor all day, every day since then, and today marks the 16th and final day of the job. Its a two person job - one to drive (Seth) and the other to manage the bins, stacking the full ones and moving the empty ones as the berries come in off the moving belt. Our two kids, along with a few neighborhood kids have done the bulk of the work. 35,000 pounds of berries have been harvested here and sent up to Ellsworth to be flash frozen and placed on the commodity wholesale market. We will buy back several thousand pounds to sell locally. Being in the organic market, we'll be somewhat protected from the significant blueberry price drops you may have been hearing about in the news lately. 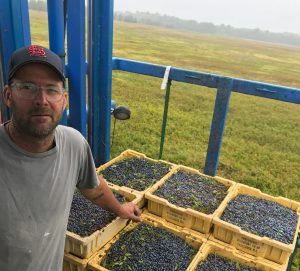 While the blueberry harvest has been all encompassing for Seth for the past three weeks (oh, and he was on vacation the week prior), the rest of the farm demands have kept coming (August!!) and our steady, competent, knock out crew has been harvesting, washing, packing, sorting, cultivating, seeding, watering...etc etc. 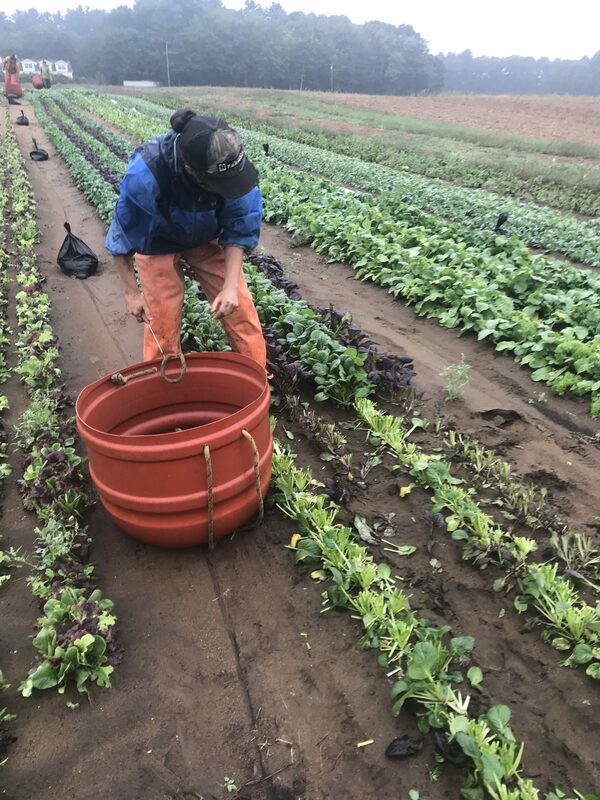 The experienced dedicated women of this farm have allowed Seth to essentially be "off the farm" while bringing food to your kitchen & keeping everything alive and flourishing. Gratitude to them abounds. Support the Brunswick Topsham Land Trust and Win Beautiful Piece of Art! On Saturday, August 18th, she will be setting up her easel at the *brand-new* location of Monarch Massage and Wellness (41 Main Street, Topsham) and painting from roughly 9:30am-5:30pm; at the end of the day, the completed painting will be raffled off, and 50% of the proceeds from ticket sales will be donated to the Brunswick Topsham Land Trust. How can you help? It's easy!! This week when you pick up your produce, consider buying a raffle ticket to support the BTLT and a chance to win Maria's painting! Visit Monarch Massage and Wellness (41 Main Street, Topsham) on Saturday where she'll be painting and will have other art work available for purchase. Order organic Maine wild blueberries this week! Quarts are $9 and will be delivered over the next 2 weeks. Order online here. **Please note we are not able to take orders via phone or email as in years past. Carrots are back and the people are happy. It takes anywhere between 90 and 120 days to get a carrot to grow from a seed to sugary root. We worry about them as they germinate slowly, are poor competitors with the many fast growing broad leaved weeds and grow below the soil (where we can't easily monitor them). 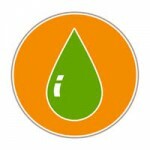 once they are ready it means that we can relax a bit knowing we will have some orange to go with all the green in the share. 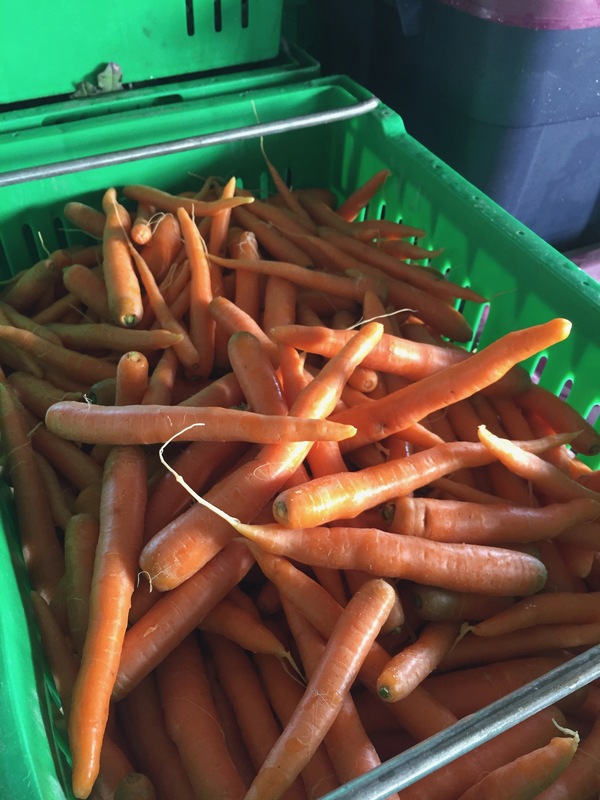 I can't tell you how many kids ran across the barn with glee this past week when they saw the return of the carrots. As farmers we are always caught up looking intently at the trees and each pickup day all of you remind us of the beauty in the forest as a whole.